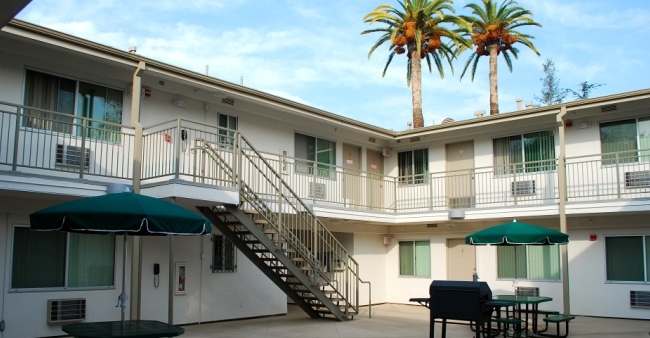 Helena is a typical one-story California-style apartment building, with the units arranged around an enclosed central courtyard. 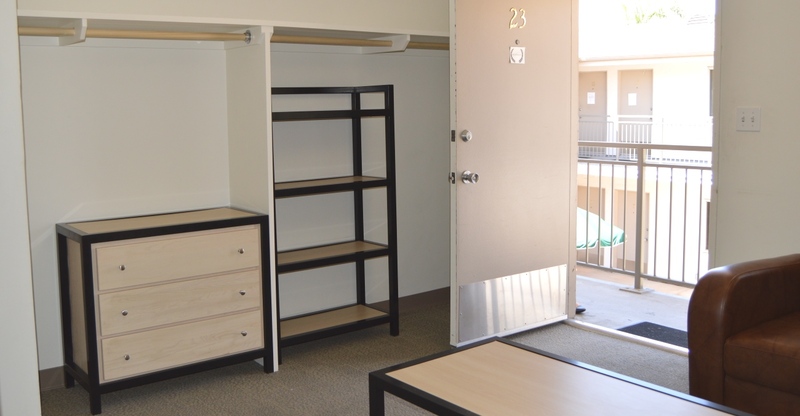 The building offers shared and single accommodations for graduate students in a mix of room types. 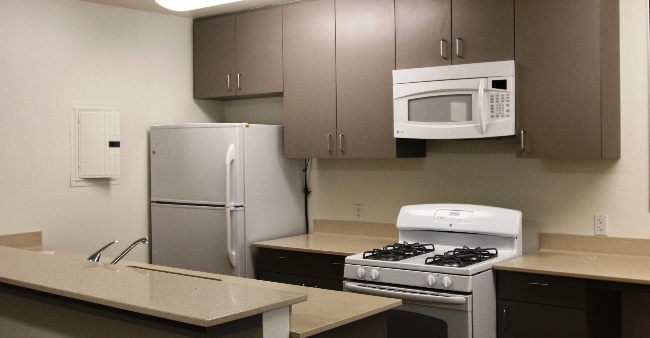 Each unit features a through-wall air-conditioner, typically in the living room, and recently remodeled bathrooms and kitchens with new plumbing, including laminate flooring, new carpeting and modern furniture. The recently re-landscaped central patio area provides an outdoor area where residents can relax on padded chaise lounges or under the umbrellas shading the tables, or sit by the fire feature when evenings are cool. 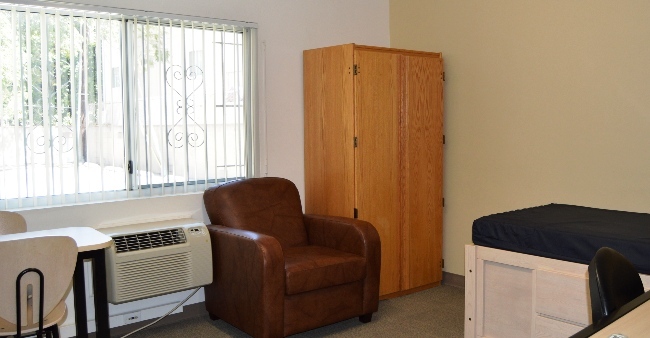 Helena offers the convenience of an on-site resident manager, who can answer questions and assist with maintenance issues. 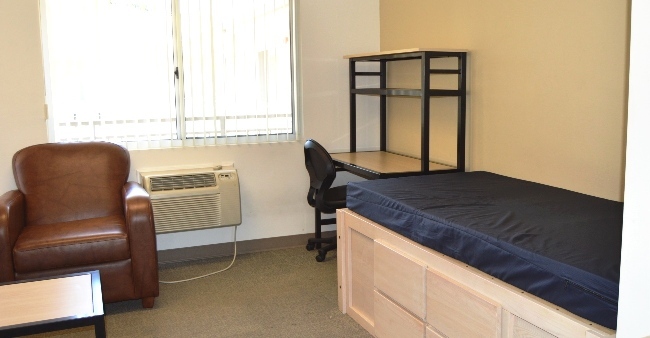 Helena offers residents the Graduate Full Year contract term. Contracts will begin in early August and end in late July. Helena has a USC bus stop in front of the building, so it's easy to get a ride to campus. 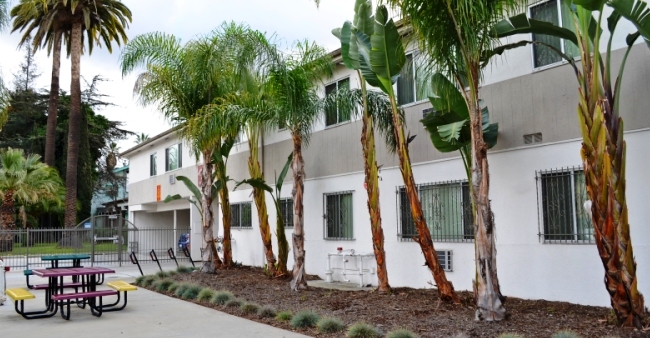 Limited parking is available in the building’s covered carport and rear lot; permits are issued by USC Transportation.